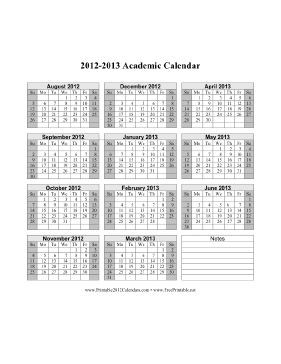 This academic calendar covers the school year from August 2012 to June 2013. It is all on one vertical page, with weekends shaded. There is also a box for notes. Free to download and print.